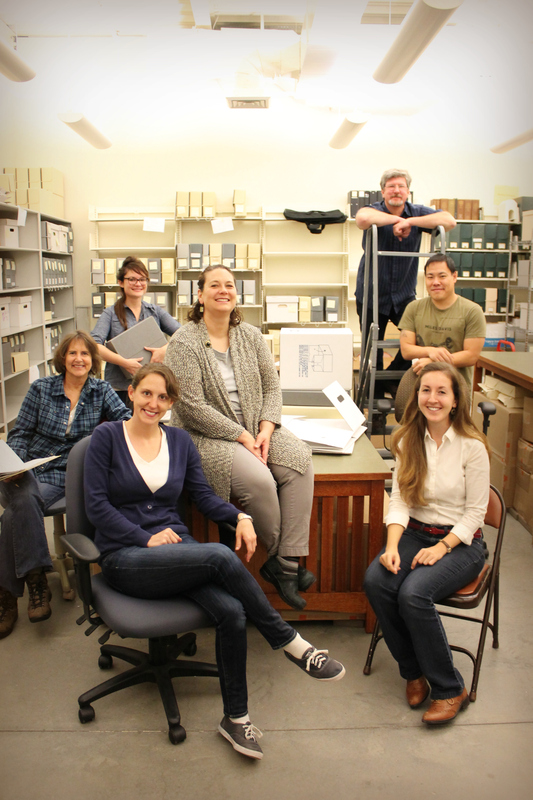 Yellowstone Archives Blitz Team 1 (September 2014): (left to right) Patricia Lehar, Anna Trammell, Erin Bostwick, Anne Foster, Shawn Bawden, Henry Mac, and Justine Rothbart (me). As I skimmed through my e-mails, this one caught my eye: “Yellowstone National Park is seeking five graduate students (or recent graduates) to volunteer in the park’s archives for five days.” As I’m sitting at my desk at the National Park Service Washington Office (WASO) in Washington, D.C., I imagine myself hiking through the first national park. Maybe I would actually see wildlife in person, instead of just from a “live cam” on my computer. Maybe I would see a part of the country I have never seen before. And most of all, maybe this position will give me experience to work on an innovative project in my field of study: Archives. Continue reading this blog post on the Yellowstone National Park’s blog: In the Shadow of the Arch.